Nike Air Force 1 '07 LE QS "White Christmas"
Nike Sportswear presents the new "White Christmas" Women's Air Force 1 '07 LE, featuring a decorated upper for the holiday season. 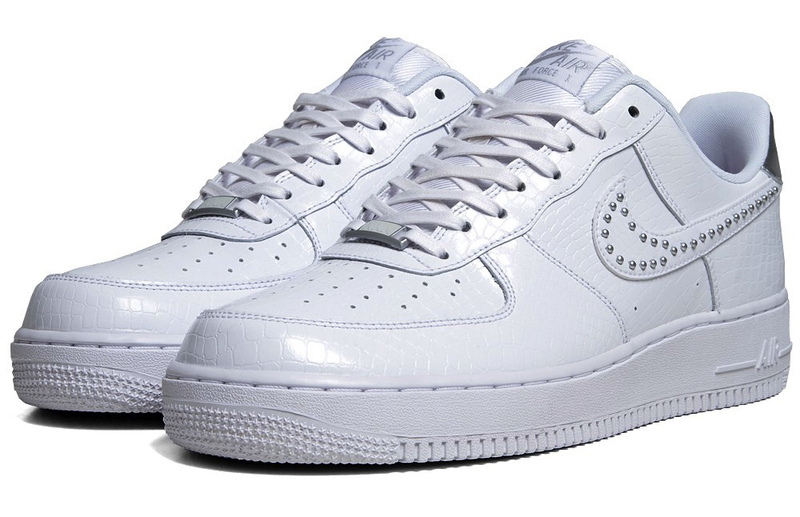 Nike Sportswear presents the new "White Christmas" Women's Air Force 1 '07 LE, featuring a decorated upper for the holiday season. 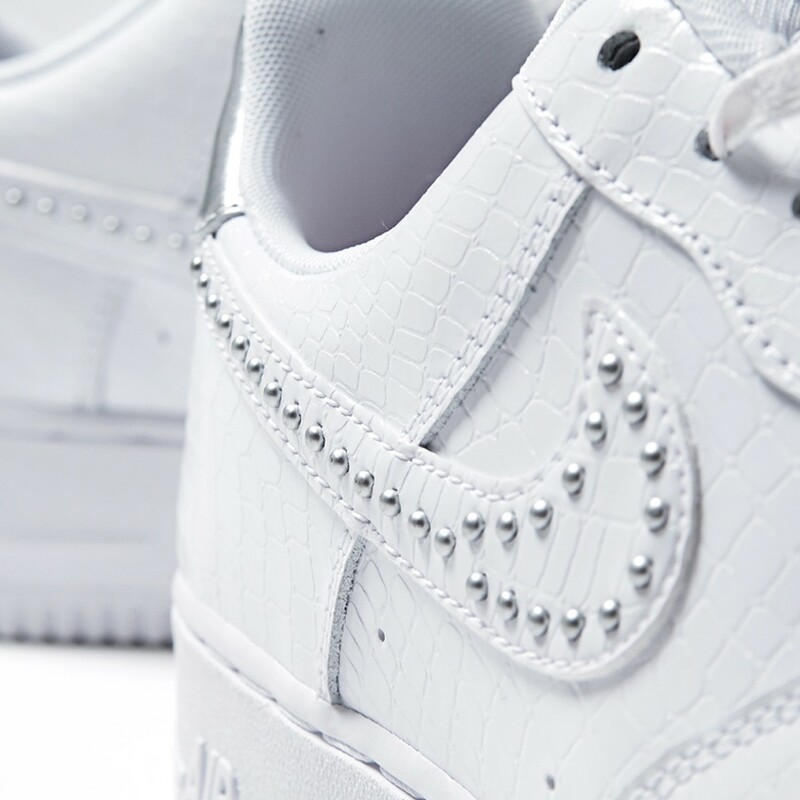 The "White Christmas" Air Force 1 uses a croc-textured, premium leather upper, along with a bejeweled swoosh decorated with silver studs. 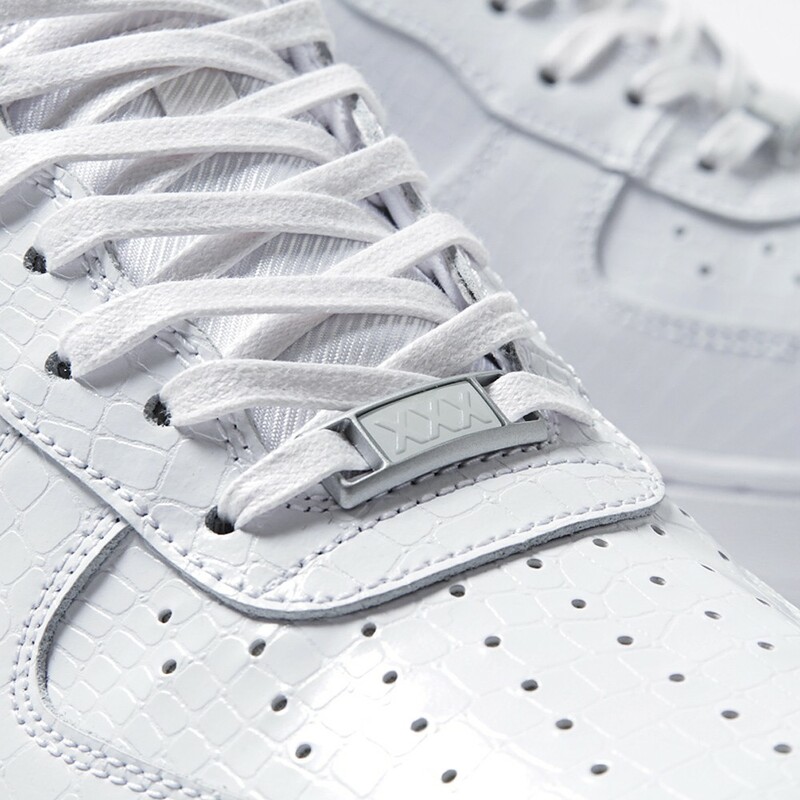 A silver patent leather heel tab and 30th anniversary dubrae complete this special women's release. 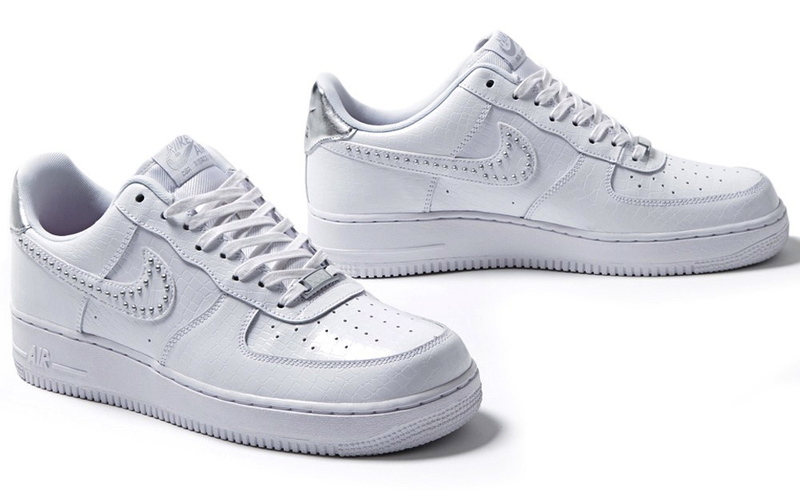 The Nike Air Force 1 '07 LE QS "White Christmas" is available now at End Clothing.